Speculation about the future of legalized weed in Canada and other countries has sent most stocks in this industry soaring, including Cronos (NASDAQ:CRON) stock. As Canada legalizes marijuana for all uses, this entire sector comes into focus. 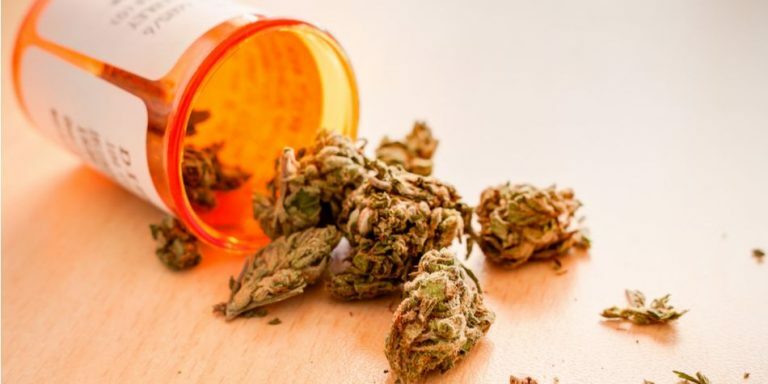 Cronos stock stands out from larger peers such as Canopy Growth (NYSE:CGC) or Tilray (NASDAQ:TLRY) with its medical focus. It drew interest earlier by fermenting cannabis. More recently, the stock has surged with research into using cannabis to treat skin conditions. However, this emphasis has made Cronos more like a biotech. Given its high multiple and the uncertainty surrounding legalized weed in its home country, Canada, I would urge investors to stay away from CRON stock. Cronos Group stock surged by over 19% in Monday trading. News that the company struck a deal with the Technion Research and Development Foundation in Israel sent shares higher. Under the terms of the deal, both Cronos and Technion would research the effects of cannabinoids and how they affect certain skin issues such as acne, psoriasis and skin repair. CRON stock stands out in other ways as well. It became the first weed stock to list on the Nasdaq Composite index. It also researches producing cannabinoids through fermentation with Ginkgo Bioworks. However, like many stocks in this group, it has become overvalued. Analysts expect the company to earn a modest profit this year. They also forecast that net income will grow to eight Canadian cents (6.2 cents) per share next year. However, that would take the forward price-to-earnings ratio to over 182! Analysts also believe the company will earn C$27.03 million ($20.89 million) in revenue this year. However, with the company holding a market cap of about $2.03 billion, that translates to a valuation of almost 96 times revenues. Even measured against projected 2019 revenues of C$94.38 million ($72.94 million), it would leave the stock trading at about 28.5 times revenues. In fairness, speculation has made nearly every Canadian marijuana stock overvalued to some degree. Moreover, with its focus on medical research, inventing some patented treatments could give CRON stock more staying power. CRON will need such a treatment. As Canadians adjust to the legal status for weed, interest in the sector will likely switch to other countries that are considering legal cannabis. As this occurs, marijuana companies will emerge in those countries. Smaller Canadian companies such as Cronos could become forgotten. Once that occurs, I doubt it will maintain its premium valuation without a specialized product to make it stand out. Given these conditions, I believe investors can find easier, more certain profits in other equities. CRON stock now experiences a high valuation, but with legalized marijuana in Canada enjoying a new but uncertain future, investors should stay away from speculative plays such as Cronos. Cronos Group stock, and marijuana stocks in general, have seen high demand due to the revenue potential of legalized weed across the world. Unfortunately for those who own Cronos Group stock, its current P/E prices the equity for perfection. To command these valuations for a longer time, Cronos will probably have to patent a game-changing cannabis treatment. While both remain possible, CRON stock has begun to look like a biotech stock. If Cronos does not discover new treatments, or it becomes forgotten as non-Canadian cannabis stocks rise to prominence, it will likely fall. I believe the marijuana industry will enjoy a bright future for years to come as other countries loosen restrictions on cannabis. In the long run, whether that will benefit CRON stock specifically depends on the company standing out. Given the changes coming in this industry, I see other cannabis stocks as safer bets. Article printed from InvestorPlace Media, https://investorplace.com/2018/10/why-now-is-the-best-time-to-avoid-cronos-stock/.